I had hoped that the Historic pictures of Ross Sterling might be offered to Historic Avondale since not only did Ross Sterling, but also his son and grandson lived within Avondale at one time. I knew it was a matter of time when their clientele went from white people to black people. When a nice club or bar opens downtown, Midtown, on Washington Ave, almost anywhere inside the loop in majority white neighborhoods, the crowds those places cater to are white people or almost white looking people. Once the place looses its luster with the preferred target audience, then the black crowds are used a temporary lifesaver before the club or bar eventually closes. It's an awful cycle. Ummmm... I really appreciate your contributions, but this paragraph needs to be removed. I'm really shocked that you think nice bars/clubs prefer "white or white-looking" customers and that black customers are the last lifeline for struggling businesses. Just wow. Yes. Sterling House, 3015 Bagby in Midtown Houston closed. ...I think you need to revisit this train of thought. Come on. By this notion Cle and Proof are going south really quick, as well as a few bars/clubs I've been too in Montrose. Hell we should go downtown to a bunch of bars as well. Your argument is also based on the superficial notion that the clienteles skin color makes or breaks a business. I'm not going to call you names or any bs accusations like that, and I'm going to grant you that this was just simply not thought through all the way. I'm telling you that its not that superficial nor that simple. The data won't add up, and the competition for dollars in all of these markets won't add up. This business failed because it didn't understand the area it was in or themselves, and we can't lay this at the feet of any particular clientele. The customer, whether rich or poor, black or white (they could be pokadot i don't care) chooses whether a business is successful or not with their dollars. EDIT: Basically I'm not here to claim you are either a bigot or racist, because I don't know you as a person, I'm here to tell you that you are lazy. You can do better than this. Wow, yeah. That was absolutely unacceptable. No. I'm not apologizing and I'm not wrong. It is a fact in Houston that clubs and bars in the affluent white neighborhoods, Washington Ave, Downtown, Midtown, and wherever else people go these days are targeted to the white crowds. The club owners want white people in their clubs over blacks and maybe, sometimes non-black Latinos, but blacks for sure. These places institute dress codes that are only applied to blacks as a way of excluding them from entry into the bar or club. Black people are told the bar or club is at capacity or it's closed for a private event, or anything but the truth as a means of denying entry to them. And yes, those kind of clubs in those neighborhoods want white people or people who look close to white in their clubs. I used to hit the club scene hard in the late 90's and 2000's. I have seen this first hand. The clubs on Richmond Ave, were almost all for white people in the late 90's 2000's until the club scene moved downtown. In the early 2000's there the downtown clubs like Cotton Exchange, M-Bar, Suede and others, the crowds were white. Maybe there were a few blacks and Latinos, but it was majority white. When the downtown club scene began dying after the Houston hosted Super Bowl, those clubs turned to the black club promoters to host nights to bring in the crowds, that were majority black to help keep them afloat. Then once the crowds hopped on the new club train, the clubs and bars closed. I know party promoters who hosted parties that drew in the black crowds in the early and mid 2000's that were big on the website InDmix. All of them had the same stories. They wanted to host parties at the new clubs filled with white people, but were denied. Or they'd tried to go with a group of black people and were denied, but not when they had their black NFL or NBA friend in the group. All of them also told stories how when those clubs and bars once filled with white people, and most known for discriminating against black people burned out, those clubs and bars turned to the black promoters to help fill their clubs up, all but begging them. The promoters would do it and those places were hotter than when it first opened. There are other accounts of this from people from back then and even now. Look on Yelp. With the rise in social media, local news picked up stories about this: Kung Fu Bar, Gaslamp now 360 Midtown, Oakmont, St. Genevive that was in West Ave, Roosevelt that was on Washington, and lots of clubs and bars that were on Washington (some still) and in Midtown. Light was being shined on what had been happening for years, like how for decades black people have told their accounts of being mistreated or harmed by police or wrongly accused of something by the police and many times it was dismissed until social media and camera phones came on the scene that proved those kind of stories true. Both of you may want to turn a blind eye to this, but I have also seen this first hand more than once. I have been out with my black friends and two or maybe all of them weren't allowed in. They were given BS reason when I and my other other non-black friends didn't have any hassle at the door. It's wrong. It happens. It happens in Houston and it happens in other cities in this country. Have a black friend who goes out or did when those clubs were open in the early to late 2000's? Know someone who is black and is a party promoter? Ask them about this and they'll back up what I'm saying, what many blacks have experienced, and what black party promoters have dealt with. Oh, ok. I for one completely misunderstood the point you were trying to make. You are absolutely correct that a number of club promoters/owners, particularly in parts of Midtown, Washington, and, previously, Downtown, explicitly want white people and would turn away anyone who didn't meet their skin tone requirements. I do think it's a specific group that behave that way though. I have no idea whether that includes the Sterling House people. Anyway, I read your post *very* differently than this explanation. Thanks for the in-depth response to everyone. Interesting how you come across as so passionate in this reply yet in your original response you seem to have resigned yourself to the thought that again a business isn't going to fair as well because it has whites or blacks. Not only is that lazy, but it seems as if you have curled up in the fetus position and just given up. I'm not going to deny that these things do take place nor belittle the true experiences that you have had....but I didn't ask for a pity story nor did I ask for your victim card. I asked if you could back up the silly and superficial argument (with statistical evidence) that businesses fail depending on skin color which is just patently false. Everyone comes across narrow minded people of all stripes and colors at some point in there life and it is your responsibility to stand up for yourself, and not walk away from it. I had the same kind of things happen to me while in Germany where Germans would treat me a certain either positive or negative simply because I was American that I didn't ask for. Particularly when trying to learn the language. People would just assume, oh he is american I'll just start speaking english, and it sucked. I had situations where my Indian, Iranian, and Pakistani friends in school would be denied at clubs because they were different. At the end of the day though, while its easy to interpret things as superficial as skin color to be the reason of things. The bottom line is that deeper than that, people tend to be lazy, and choose to side with what they have always done or always seen, and refuse things that are different for whatever reason. Skin color just happens to be a very immediate reaction that people get. It would be dumb of me in Germany to just blanketly demand Germans (who are the majority there) to accept me an American as a minority. I have to prove that I belong by being forthright and confident and place myself at the table. To the topic at hand, its not because its white vs black but because a business has a more likely of failing if it decides to carter to a majority or minority. You make less money if you cater to a minority group than a majority group (I'm speaking of this quantitatively as in numbers not "political status"). I'm talking exclusively so, and whatever that majority minority is. It would be the same if a business was in a mostly latino majority community yet only catered to white people exclusively. They would be morons for refusing business to the majority. A business should cater to as many people as possible both majority and minority to succeed. If they refuse people due to something as superficial as skin color then that is stupid and a dumb business decision (ignoring the morality case or classical liberal argument for this and simply looking at it from a selfish business perspective). Again. Its not as simple as you portray and simply basing everything in your world view on just your experience alone and nobody else, whether by other physical human beings or literature, will cloud your judgement on this. Its more than you think, and I'm going to call you out on it. Stop putting words into my post that aren't there. I didn't think I had to back up what I wrote the first time, but I did. I am not going to back it up a second time and put it in a way that suits your palate. What I will clarify is I can't say if Sterling House followed the practice many other clubs and bars in Midtown, Washington Avenue, and wherever else people go these days. I don't know if that place did or did not. What I do know is the Sterling House owner made it clear what he wanted for his restaurant and bar in interviews. He wanted recognition and awards for his food and drinks, and his bar. When Sterling House opened, the crowd was diverse than most new bars and clubs that open in Midtown and Washington Avenue, all great. But it did lean more white. The crowds were white. Events and themed nights were catered towards the white crowds. When the crowds weren't coming in as when the doors first opened, Sterling House embraced black people more. Club or party promoters began hosting events there for the black crowds to help give the bar a second life. It worked for a while until it didn't. And here we are. The point, since you missed it the first and second time around, is clubs in Midtown, Washington Avenue and wherever else people go these days target white people. That's their target market and who they think will make their club hot. Instead of embracing all people, most of these places want to exclude people, and 9 out of 10 times, it's black people who are more often than not discriminated against, because those clubs and bar don't want them all when they're new. They instead turn to black people or part promoters, or begin including everyone a year or so after their target market has moved to the next hot spot. It's the lifecycle of how most, not all, but most clubs and bars in Houston. Even my black friends know this because they comment how they know a place is close to closing or may have a year or so left because they're pandering to black people to spend their money there. Yes. That was the point I was making how the lifecycle works at most of the hot clubs and bar in places like Midtown, Washington Ave, and wherever else people go these days. Black people are often used as a life support option to keep those once hot places afloat for a while longer. Their money was not good enough for most of those kind of places when they opened , but now it is because they're struggling and want to stay open. It's an awful cycle that has been going on for too long at many places. What @CrockpotandGravel isn’t a secret in the bar and club bizz. It’s a reality that that you don’t have to look hard to realize. I think some may have misinterpreted his point and intentions. Hmmmmm I Cant speak for all places but this particular place is one I could walk to. I walked to it more than a few times. It seemed fairly diverse customers were there. IMO I think if if there were bumps for this place it might have more to do with wonky parking situation and price of drinks & food. I went once, never had the desire to go back. Wasnt a bad place, just didnt do anything for me. The management was very supportive of Avondale Civi+, hosted a NationalNight Out once provided free food and discounted drinks. I always wanted to help pay that back by going back a few times. But close to this place are at least a half dozen bars that seem lively “neighborhood joints” with cheaper drinks and better food at a cheaper price. This place no matter how well intended didn’t give off that vibe. There seemed to be diversity in clients but never a whole lot of them. I Just want to say congratulations to my good friend @bigchefbowie Don Bowie on his new restaurant @tastebarkitchen ! Lord I pray that you bless his restaurant and continue to use him to motivate us chefs all over the world!! I can’t wait to come back and support oh and do a kitchen takeover. In the photo is the porch and French doors of Sterling House at 3015 Bagby. Taste Bar + Kitchen is tagged in the photo. Taste Bar & Kitchen, a new destination for all things waffles, will officially make its debut in Midtown Houston this spring. The restaurant is set to open at 3015 Bagby Street in the coming weeks, according to a press release, and will offer a menu that’s focused on sweet and savory interpretations of the classic pairing of chicken and waffles. The restaurant is currently staffing up the kitchen and front of house, which means that it will likely open sooner rather than later in the space that formerly housed now-shuttered bar Sterling House. As far as the food is concerned, diners can look forward to a bounty of brunch options that pair savory proteins like Cajun chicken and chicken fried lobster with mini-waffles. On the sweeter side of the menu, find red velvet and spiced butter pecan waffles, along with plenty of sugary, dessert-inspired drinks like a vodka “peach cobbler” and bourbon pecan pie cocktail. Of course, mimosas will also be flowing. 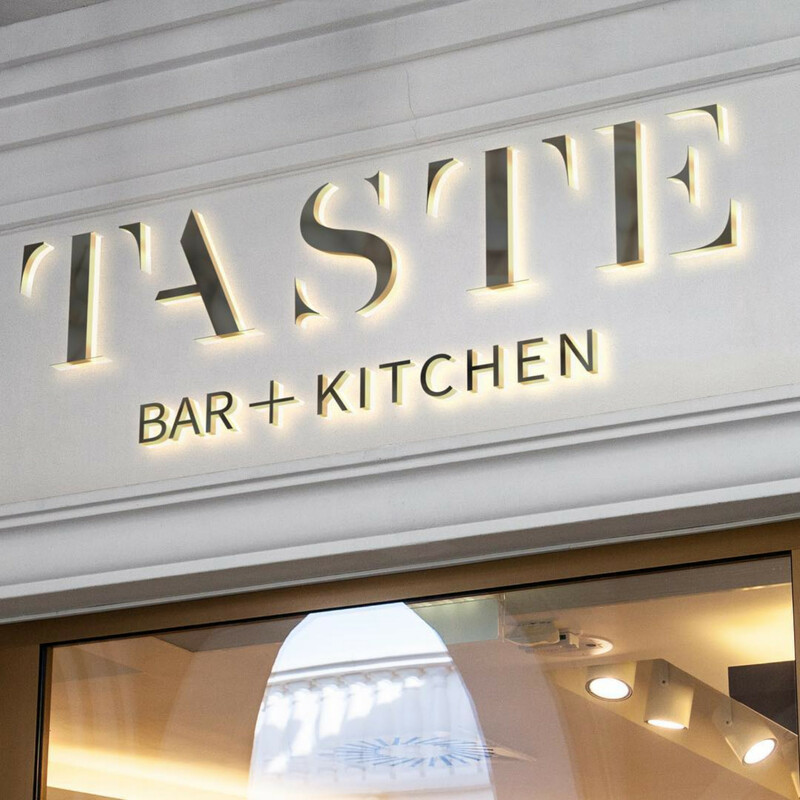 No official opening date for Taste Bar & Kitchen has been set, but look for it to arrive in late March or early April. Don Bowie, a restaurateur and former Flower Child chef, has cooked across the country in Atlanta, New York City and Los Angeles. Now, he is bringing his knives to the former Sterling House building in Midtown, where he plans to open a chicken-and-waffles restaurant under the name of Taste Bar + Kitchen. Bowie is head chef of Taste and co-owns it along with his former fraternity brother Kevin Kelley. Bowie, who is originally from Houston, moved to Atlanta for culinary school at Le Cordon in 2010, according to his Harri account. 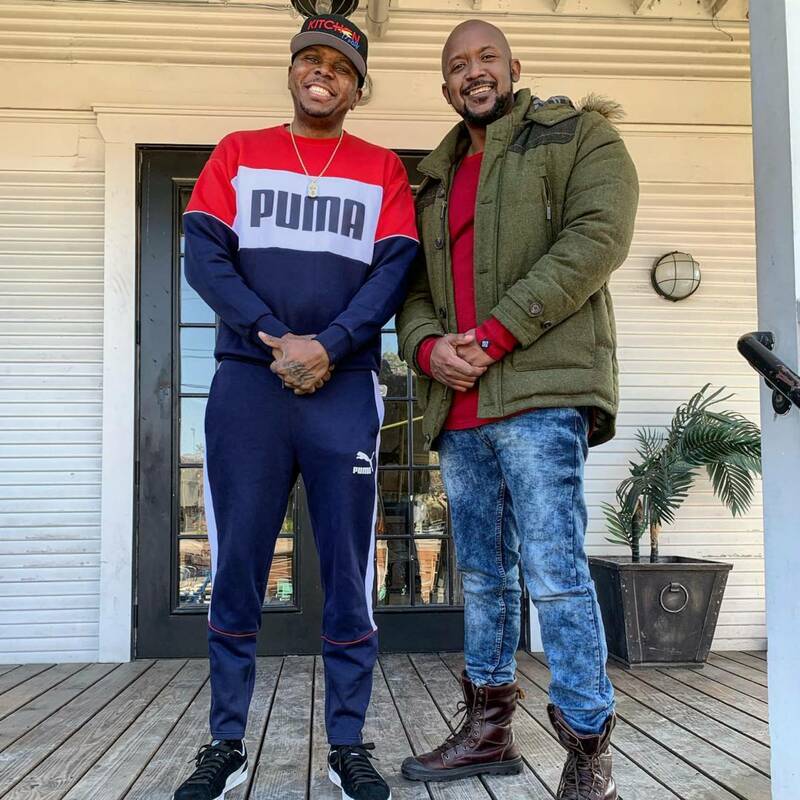 He worked at a number of restaurants in the Atlanta area before becoming managing partner and executive chef of NoBar in Brooklyn, a partnership with actor Anthony Mackie. The former Sterling House is just under 4,000 square feet across two stories, with a patio. No brokers were involved in the handover to Taste — Bowie and former owner Amir Ansari hashed out the deal themselves, Bowie said. Seating capacity is at roughly 170, and the restaurant can accommodate 200 when including standing room and the bar. Taste is currently hiring, but will eventually consist of 11 kitchen staff, including Bowie, and a server and bartender staff of roughly 25 people. Sterling House, so named because it once belonged to former Texas Gov. Ross Sterling, was a restaurant owned by Ansari, per the Houston Chronicle. Sterling House closed in 2018, and Bowie snapped up the space soon after. Bowie wants to expand Taste from Midtown to Houston's Third and Fifth wards, as well as East Downtown. Third Ward, a food desert, would see one of its first upscale, sit-down restaurants in Taste, Bowie said. I messaged Sterling House on Facebook, the place that closed at 3015 Bagby St in Houston Midtown and asked why they're promoting Taste Bar + Kitchen since Sterling House the bar closed. It's confusing as all get out for people who don't know what Sterling House is. But more confusing because the dude who bought the property to rehab, a process that took years longer than he said it would because he probably didn't have funds to continue renovations on the timeline he had hoped, he promoted that space as a bar. He did an info-commercial article with CultureMap hoping to get a bar or restaurant operator before going back to the drawing board as Sterling House a bar and restaurant, which didn't catch on for long with the crowd he was hoping for and failed. A bar he was trying to get off the grounds and renovate since 2013. So are Sterling House and Taste Bar Kitchen the same? Is Taste owned by the same owner as Sterling House? You're promoting Taste on your page which leads people to think they're one in the same. Fine. But it leads people to think Sterling House changed its name or did a rebrand to Taste Bar + Kitchen, no? It's confusing people. In my own circle of friends, there have been confusion because they see the posts from Sterling House and wonder if it's this new place is theirs or if they reopened. Thanks for responding. And that still sounds confusing. I understand what the Sterling House is, but still, it was promoted from the beginning as a bar/restaurant under Sterling House as the renovations happened. That's what people associate it with. Posting Taste's happening and their restaurant on the Sterling House page leads to confusion. I personally know people who are confusing the two because you're posting as if Taste Bar + Kitchen is a rebrand of Sterling House. But it's not. Maybe you'll consider refraining from posting or reposting Taste Bar + Kitchen posts every day so people won't continue to be confused or mislead. You want to make clear what your brand is, what you offer, and so on for customers so that there is no confusion. If Sterling House is the landmark Sterling House (there seems to be some debate on which is the true Sterling House in Houston), then maybe promote it as that and not Taste Bar + Kitchen. Most bar hopping people don't keep up with Houston real estate or Houston history. They only know this as the bar Sterling House because that's what this has been marketed since your purchase of the property. The page is for the Sterling House and whatever the Sterling House decides to promote within the building we own. As such, the majority of our posts identify Taste as a business at the Sterling House, which is far from confusing. Perhaps you should use your energy to be positive and to concern yourself with your own interests. In addition, perhaps you should follow another page if you do not like the content. You’ve been the only person with negativity sent towards a renovation and developing business. We hope you wake up another day and use your energy for positivity and your own business and financial interests. I only asked him this once yesterday. That's it. And he replied back today and responded to his message in a way that wasn't offensive and that was his response to me. F-ing rude and highly unprofessional. I did write to him years before, our message exchanges where there and asked about the construction progress during his four year renovation on this place, and it was as cordial as it was this time around. His response was nice as were mine. I think he was rude this time because he's salty his bar as Sterling House failed. This guy was hoping to win awards for his bar, their drinks and their food. He wrote about that under posts or shared articles where other bars were being nominated for their bar program and their food. I wrote a non-rude message in return and told him I wasn't being hostile although he was, I was voicing a concern people are having in discerning what Sterling House is now. Is it Taste Bar + Kitchen? If not, why continue posting about another business when we can follow their page for updates? I wasn't able to send my message because the dude blocked me. That response was wildly inappropriate, unprofessional and downright bizarre. I'm still a little confused - is Taste essentially the tenant at Sterling House going forward, or is it more like a short-term pop-up? Is the plan to have more than one tenant in the building - something like Taste on the ground floor and a bar on the second floor? Sorry about all the questions. I'm really excited to see this house maintained and turned into a great new asset to the community; I just want to make sure I understand what I'm talking about when I talk it up to people. I think the "people are confused" thing in particular is what stuck out to me. Even if it's true, that takes the conversation away from two guys talking and makes it into something that could be interpreted as much more aggressive or accusatory, especially to someone as incredibly defensive as this guy apparently is.